PHOENIX, AZ / ACCESSWIRE / October 5, 2016 / Smart Armor is pleased to announce Smart Cube, a Bluetooth controlled locking mechanism that secures a wide variety of cabinets and drawers. 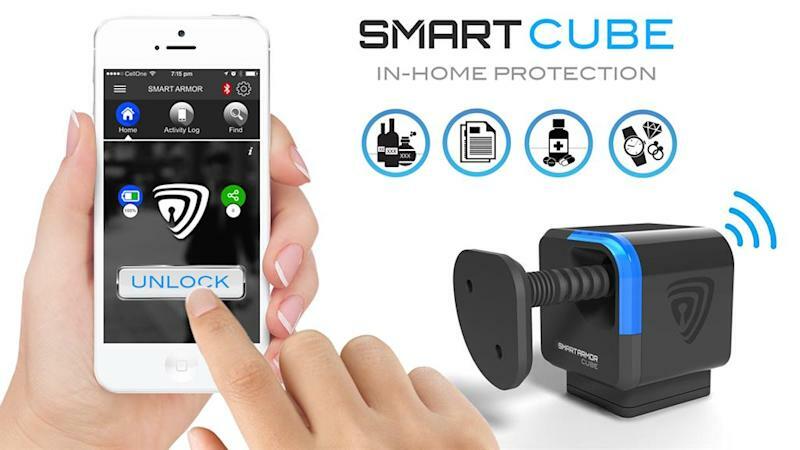 Smart Cube works in conjunction with both Android and iOS smart phones, and can be operated either manually or by proximity detection. This simple yet elegant concept has been met with rave reviews from initial customers. Realizing a wide range of uses for the device, including securing alcohol, valuables, prescriptions, and firearms firearms, donators helped Smart Armor raise an unprecedented $50,000 is 3 days on Indiegogo.